Have you ever made an online purchase but were fearful of meeting a person face to face that you’d only met online? 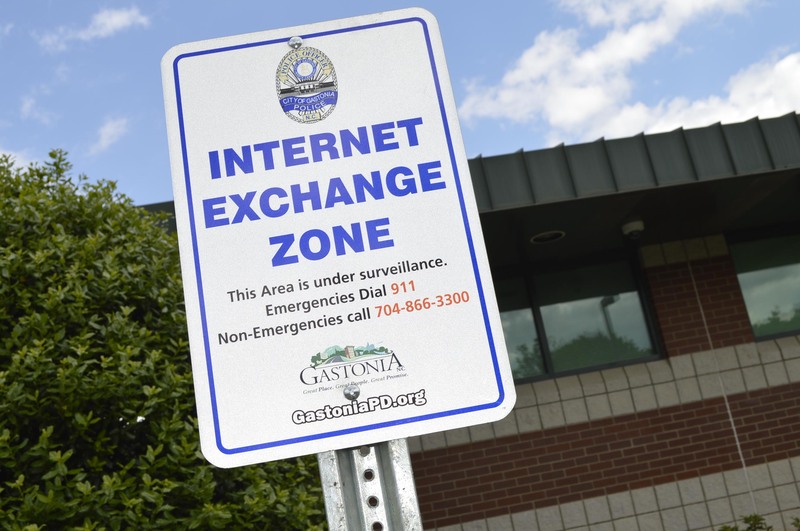 An Internet Exchange Zone has been established in two parking spaces in the front parking lot of the Gastonia Police Department at 200 E. Long Avenue to help promote safety. The Internet Exchange Zone signs provide emergency and non-emergency telephone numbers for folks to call if needed. The area is under 24-hour surveillance by video camera which is on a recorded loop for 14 days.